In his own words in the Jerusalem Post, Steve Goldberg describes why he’s the man to lead the ZOA out of its crisis for the betterment of the organization – and of Israel and the Jewish people. Read it below or in the Jerusalem Post. I am a candidate for president of the Zionist Organization because the ZOA must be strong, effective, and professionally and ethically run in its critical fight for Israel and the Jewish people. The current President, Morton Klein, has been in power for over 20 years. Unfortunately, in recent years, the ZOA has withered in size, resources, influence and credibility. It’s time for new leadership. Aside from my Zionist passion and dedication, I have the qualifications. I majored in mathematics at Harvard and earned my JD from New York University. A lawyer for more than 35 years, I am a partner at a prominent American law firm, specializing in business litigation. I am a tournament chess player, with an appreciation for strategy and tactics which can be used in defending Israel. My passion is Jewish activism. I began as a pro bono lawyer for the Jewish Defense League in Los Angeles over 25 years ago – controversial for some, but I’m proud of it. I have been active with the ZOA since I joined the Los Angeles Board in 2006. I was appointed to the National Board in 2008 and national vice chairman in 2010, a position I hold until today. I am the US representative on the Executive Board of the World Likud, a member of the Extended Executive of the World Zionist Organization, vice president of Children of Jewish Holocaust Survivors, and a member of the International Board of Governors of Ariel University. I have published and lectured across the US and in Israel on foreign policy. I believe the ZOA must take the lead in opposing the twostate “solution,” based on Israel’s biblical, legal and historical rights to the Land of Israel. 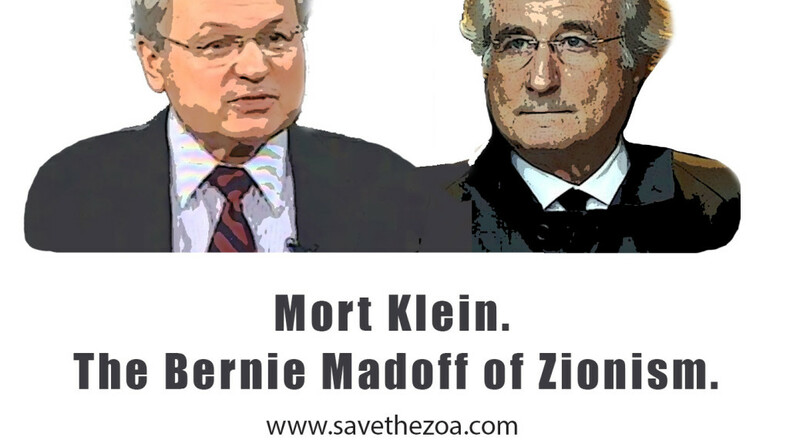 Under Mort Klein, the ZOA has objected to the two-state model because of Palestinian incitement against Jews and the absence of a viable partner for peace. While valid reasons, they leave open the possibility that someday, if the Palestinian Arabs mouth the right words, the two-state model would be acceptable. The ZOA should unapologetically say “Never!” History teaches this is a zero-sum game; creating another Palestinian state would be morally wrong and strategically suicidal. There’s room for just one state between the Jordan River and Mediterranean Sea: a Jewish state or an Arab state – not both. The ZOA should educate people that there is already a Palestinian state – Jordan. The ZOA must take the lead in developing, articulating and advocating the only real, humanitarian alternative to the two-state model: one Jewish state, Israel. To take such a leadership role, however, the ZOA must become healthy and return to ethical, effective governance and management. The ZOA has declined in part because it has morphed into an organization serving the personal, financial and political whims of its current president. Despite the ZOA website boasting a membership of 30,000, the ZOA ’s mailing list contains about 9,400 names. Of those, fewer than 1,100 have email addresses, only about 800 of which still work. Further, donations have been anemic. Public filings demonstrate that, over the past five years, donations have averaged less than $3 million per year. In 2012, the last year for which statements are available, donations were less than $1.5m. Such a small, under-financed organization cannot be effective. Management has been grossly incompetent at best, unethical at worst. The ZOA failed to file legally required Form 990s with the Internal Revenue Service for three consecutive years. As a result, it lost its status as a 501c3 tax exempt organization effective May 2011; it was restored two years later. That the ZOA did not file those forms for three consecutive years is inexcusable. Even worse, to avoid embarrassment and accountability, Mort Klein refused to voluntarily disclose the loss of status to the public. I was the only National Board member to insist on public disclosure; I was ostracized by most Board members because of this insistence, which they perceived as disloyalty to Klein. When the forms were finally filed, they revealed that Klein’s compensation was staggering. He received $1,245,851 in 2008 and $717,700 in 2009. From 2001 to 2013, Klein has been paid more than $5.4m., averaging out to more than $415,000 per year. The ZOA president should be a volunteer position, which had been the original setup in the ZOA Constitution. I intend to reinstate that tradition and forgo any salary. If I have the privilege of assuming this role, I would restore competence and transparency to the ZOA . I would hire professional fund-raisers to broaden the base beyond a handful of traditional donors. I would use money saved on the president’s salary to expand operations, hire and keep the best, and fight for Israel – effectively, creatively, boldly. I would create a 501c4 tax-exempt organization and a political action committee so the ZOA can have political influence matching that of AIPAC and J Street. 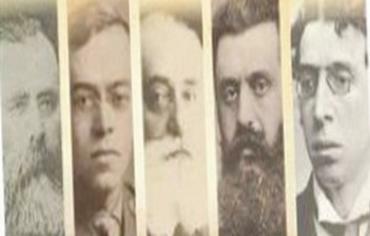 Israel needs a vibrant ZOA , and the ZOA needs change to survive. I am confident I am the man who will lead and prepare the ZOA for the current challenges – and a better future for Israel and the Jewish people. Martin Sherman Endorses Steve Goldberg! 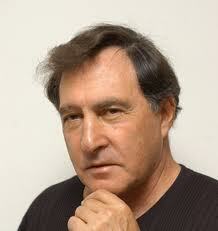 Ted Belman of the Israpundit blog has given both Mort Klein and Steve Goldberg a forum to share their views. Steve wrote to Ted the following post to counter pressure Ted received from Mort Klein following Ted’s publication of Steve’s “Why I’m Running for ZOA President” video. These points are important to counter the falsehoods that Mort Klein is spreading, often by phone when no one else can contradict his claims. Read the post here (or below) and take a look at Mort Klein’s self-aggrandizing and strange responses. 1. The rationale given by Mort for taking such an enormous salary starting in 2008 and continuing thereafter, that he worked full-time for 5 1/2 years for free is not true. I found the real numbers and they are on my website. The truth is he was a volunteer for the first 4 years but it was only part-time. Then he took $40k in compensation even though the ZOA constitution at the time prohibited the officers from getting compensation. Afterwards, the ZOA constitution was amended to allow the president to be paid. He then took $99k in 1999 and $125k in 2000. 2. Mort has claimed repeatedly that his average salary over the 20 years is only $200k. But he has taken more than $5.64 million in the 20 years, which averages to over $282k. If you capitalize it over 20 years, it becomes almost double that in present value dollars. 3. Measured by valid e-mail addresses, the ZOA’s membership list is fewer than 800. The ZOA website dishonestly says there are 30,000. That means the ZOA is a minuscule organization and lying about it. Not good. 4. The last year for which there are financial statements ins 2012, and donations were barely over $1 million. There is a claim that he raised $5 million in 2013, but it is entirely unsubstantiated. Even if true, a review of Form 990s over the last few years shows that the ZOA is raising far less money than Stand With Us, which is about 10 years old, and even the vile J Street, which is only about 5 years old. The fundraising has been mediocre. 5. There is only the ZOA 501c3. Mort has refused to establish a related 501c4 and PAC. It means the ZOA has very little influence on Capitol Hill. 6. The Israel office is manned only by Jeff Daube. Jeff is outstanding and does more than can be expected of any one person, but he doesn’t have help or even an office. 7. Mort recently did something that, by itself, should disqualify him. He tricked Danny Danon into giving him a letter of endorsement. The letter is dated January 17 2014. Mort asked Danny for the letter without disclosing that he had an opponent and the opponent is me. Danny has told me and others that he never would have done that had he known the truth. It is about to be clarified–publicly. I never would have put Danny in the position of making a choice even though I know he personally prefers me (he chose me, not Mort, to be the US representative on the Executive Board of World Likud). It wouldn’t be the right thing to do. But it is even worse that Mort deceived Danny into giving the endorsement in an underhanded way. It is no trifling matter to deceive the Deputy Defense Minister of Israel. 8. You know that Mort has been smearing me personally with matters irrelevant to the ZOA. The smears are also false. 9. Mort has refused to debate me. He is comfortable debating Jewish leftists and even vicious anti-Semites. The reason is he knows he has the truth on his side. He won’t debate me because he does not have the truth on his side in the election. He can telephone people privately and say what he wants without fear of contradiction. 10. Mort is refusing to allow the ZOA members as a whole to vote. He is requiring people to fly to Philadelphia, his hometown where his friends live, to vote. That’s tilting the playing field. Imagine if the election were in Los Angeles and only people who could manage to attend physically could vote. Not allowing ZOA members to vote absentee, by proxy or by e-mail is undemocratic and indefensible. It makes the election a sham. 11. I’ve arranged for an independent website provider to poll all ZOA members with e-mail addresses as to their preference. Each member will receive an electronic ballot and can respond only from his or her e-mail address, and can vote only once, so the poll will have integrity. As a matter of principle, I’ve agreed that I will withdraw and congratulate Mort on his victory if he wins the poll. The ZOA’s president should have a mandate from the majority of its members. If I win the poll, however, I am going to ask Mort to withdraw, and failing that, for the delegates in Philadelphia to vote to ratify the will of the majority. Having a president with no legitimacy would be a disaster and would make the ZOA into a joke. 12. The title of your column actually is very sad for the ZOA if true. If Mort is the ZOA, what happens when he dies or is disabled? The organization needs to be more important than any one man. It can be much more than it is, because no one man can embody what the ZOA is supposed to stand for and accomplish. We don’t have Jewish kings. After 20 years, isn’t it time to give someone else a chance? 13. I’m a flawed human being, but I treat other people with respect. I don’t bully and scream at employees. Once this election is over, Mort will return to ignoring you. I will continue to like and respect you even after this is over. Please just give this some thought. Coverage of the election in the Jewish Voice does a good job of pointing out how much Mort Klein has pilfered from the ZOA. In some years, his salary amounts to more than one-fourth or one-half of the ZOA intake for that year! On February 24, 2014, Times of Israel featured a comprehensive story about Steve Goldberg’s bid to assume ZOA presidency. It should be clear from anyone who reads the article which man is more fit for the job, and who’s in it for the right reasons.